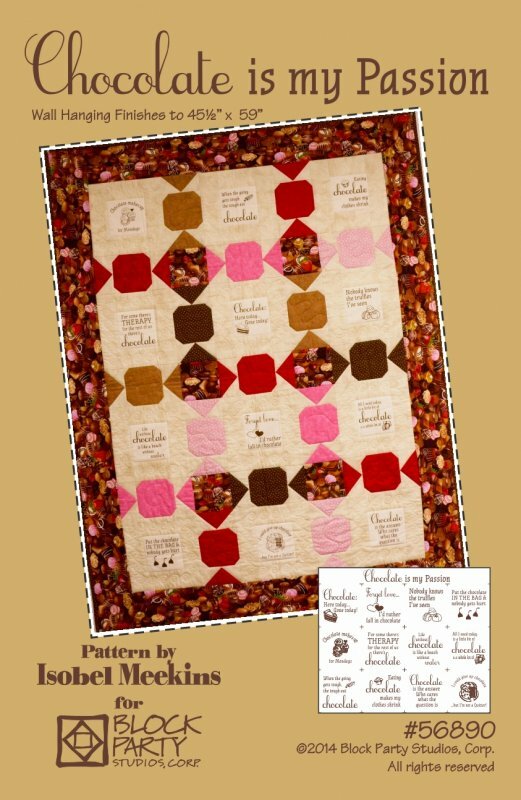 Make for yourself or a fellow chocolate lover a fun quilt wall hanging with our Chocolate is my Passion panel. Quilt finishes to 45.5" x 59". This item includes pattern and Chocolate is my Passion panel hand printed on white or natural-colored fabric in brown ink.